Perry has been the director of two of Colombia’s leading economic think-tanks, Fedesarrollo and the Center for Economic Development Studies. 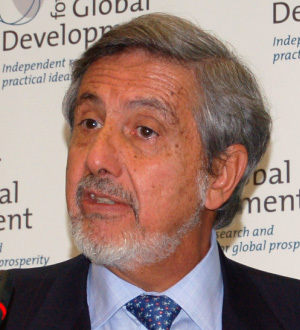 He is currently the Robert F. Kennedy Visiting Professor in Latin American Studies at Harvard Kennedy School. Perry, Guillermo; Forero, Alejandro (2014): “Latin America: The Day After. Is This Time Different?”, Center for Global Development. Perry, Guillermo (2014): “The Pacific Alliance: A Way Forward for Latin American Integration”, Center for Global Development. Perry, Guillermo (2014): “Regional Public Goods in Finance, Trade, and Infrastructure: An Agenda for Latin America”, Center for Global Development.